RIVIERA BEACH, Fl. (CBS12) — Palm Beach County’s Property Appraiser has joined a Riviera Beach property owners fight to get an address. 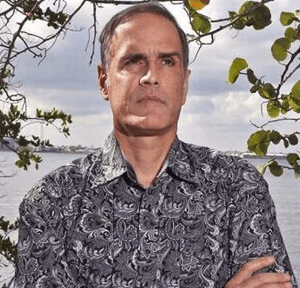 Fane Lozman says he’s been asking the city for an address since buying several pieces of submerged land on Singer Island more than 2 years ago. A request he insists the city has denied. He says it’s payback, since he took them to the US Supreme Court and won after he claims the city illegally seized and destroyed his houseboat. “I pay for police and fire in my property taxes and I want to make sure I get a proper response if something went wrong,” Lozman said. It’s frustrating for Lozman considering his neighbor received an address more than two-decades ago. A spokesperson representing the city told CBS12 over the phone Thursday that Lozman never submitted a formal request for an address. “That’s 100% untrue. After I purchased the property, I went to get an address and they denied it,” he said. Lozman is suing the city in an effort he says to get an address for his properties that sit along North Ocean Drive on Singer Island. Now Palm Beach County is stepping in after Lozman filed an application for a homestead exemption. CBS12 obtained a letter, sent from a law firm representing Palm Beach County’s Property Appraiser to the city’s attorney. The letter asks for a letter from the city with an address for Lozman so that the office can send him his assessments, exemption and property tax-related information and notifications. “There’s no valid reason not to give me an address. There’s empty lots all over this city that have addresses,” Lozman said. We’re still waiting for the city to respond with the cost for the litigation.